Camp Yukon is named after the Yukon River. Camp Yukon is a 48-bed camp with lounge and spike room, fully remodeled in 2012 to maintain our high standards for remote living. Camp Yukon is currently located in Prudhoe Bay, Alaska. 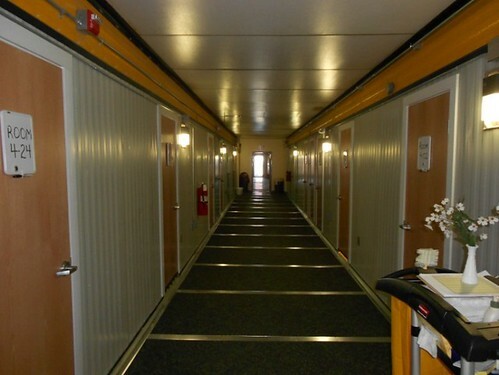 DCY is a 48 bed camp, arranged in 24 double occupancy rooms along a single hallway. The camp consists of six 12’X60’ skid-mounted units arranged end-to-end, with the recreation and utility units perpendicular on the ends, and the four unit Kitchen/Dining/Recreation (KDR) facility located in the middle, forming a modified “I” shape. The camp includes a shared bathroom and a private bathroom. DCN has two sets of washers and dryers. DCY has a spike room and a lounge with new furniture and big-screen TV. All rooms are wired for television service. 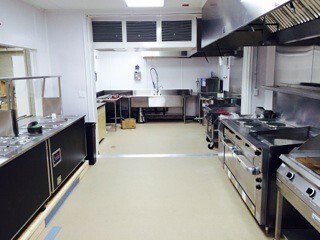 The newly added kitchen is capable of feeding up to 80 personnel, with concurrent seating for 31. The camp has a mud room at each entrance, with new locker room and gym facilities attached to the KDR. There is one managerial-type office, located off the new dining room.